A very annoying thing in Windows 2008 R2 is the Internet Explorer’s error: “content from the website listed below is being blocked by the internet explorer enhanced security configuration“. Ok now, but how do we disable this security setting ? 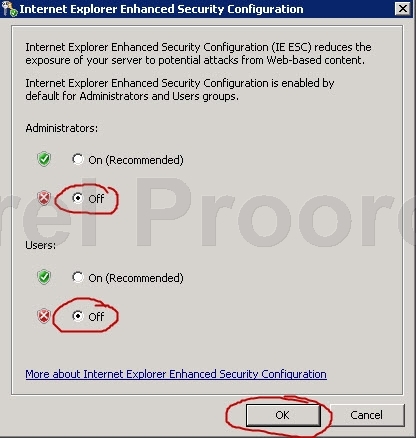 ( it is called Internet Explorer Enhanced Security Configuration – IE ESC ). 6. You’re done, and you can now open a IE.